Hello everyone, I am a new member and joined PCA in 2018. The P4 editor asked me to share my impressions of my first driver’s education event which I attended on August 24, 2018 at Waterford Hills. A little bit about myself. Both of my parents have German heritage and my mother was born in Landau Germany and immigrated to the US after marrying my father who was stationed in Germany. I grew up in Southeast Michigan and as a teenager enjoyed going to car shows and the dream cruise and seeing all of the sleek and shiny sports cars. My parents have always appreciated German cars and we had various BMW’s and Audi vehicles during my childhood. I grew up in a large family so most of the kids shared a family vehicle and I learned to drive on our ten-year-old BMW 740i. 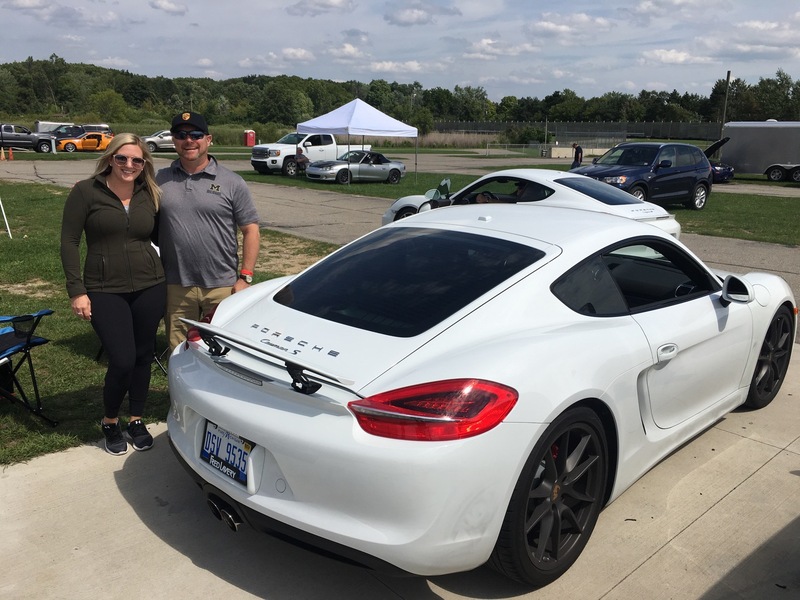 My first introduction to Porsche was when I was invited to attend a Porsche test drive event at the Ford Romeo Proving Grounds. Porsche had rolled out the red carpet and brought numerous cars to test drive including the then brand new Macan, Panamera, various 911s, and a Cayman GTS. The test drive also included a thrilling hot lap in the 911 Turbo S driven by a professional driver. 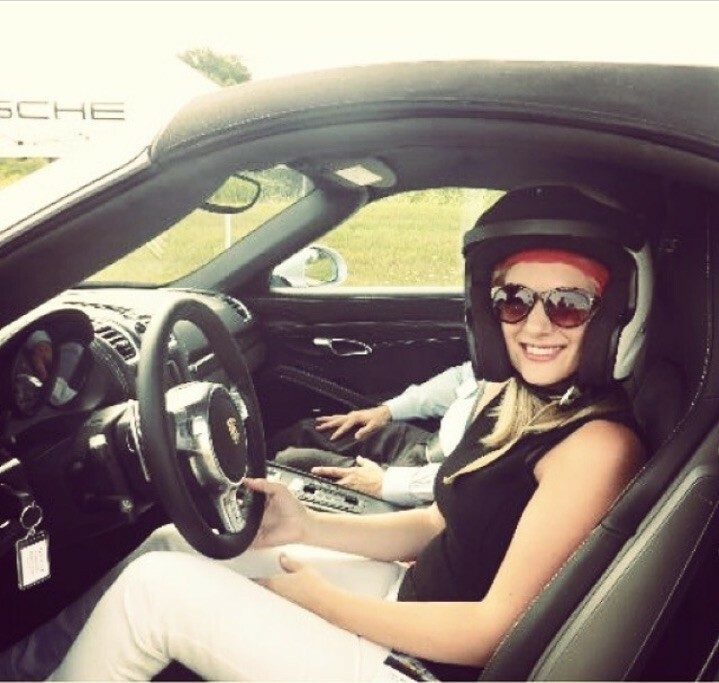 Not only was the event an eye opener in terms of the breadth of the Porsche vehicles but also the pure enjoyment experienced in driving a Porsche at speed. Perhaps the thing that impressed me the most at the time was the comfort of the vehicles but with a press of a switch the cars could change their personality into agile racing machines. I recently joined PCA at the insistence of a fellow member who thought I might enjoy the experience of re-living driving on a closed circuit through a driver’s education event. At 30 years of age, I was worried initially about my lack of race track experience. In truth, part of my reluctance was also a concern about safety, being the only woman at the event, and possibly being the slowest on the course and holding other drivers up. However, after several reassurances, I finally relented and signed up to attend a driver education event at Waterford Hills. On the day of the event, I arrived early and was surprised to find the event nicely organized with cars already parked in the paddock and sign in sheets waiting. As I checked in, I was relieved to see other women involved in the event not only as participants but also as instructors. I was assigned to instructor Diane who greeted me warmly and helped set me at ease by explaining the process and the day’s scheduled activities. My instructor suggested that I walk the track and during the track walk I was able to see the track conditions up close including the dips, hills, turns and straightaways. Upon my return to the paddock, I headed up to a classroom session which talked about safety, flags, proper seating and the illusive race line. I learned some important tips including how to position myself in my seat as well as how to hold the steering wheel which I have adopted in my daily driving. I have always considered myself a decent driver and I was surprised to learn that some of my daily driving skills and approach to curves on the street are not the most efficient on the track. During my class room session, the instructors hit the track and while we were listening and learning we could hear the cars whistling by on the straightway behind us. Prior to driving, my instructor and I reviewed the safety, passing and flag instructions and inspected my car and equipment. The emphasis and attention to safety by both my instructor and entire race staff made me feel comfortable with the thought of traveling in a group of speeding cars. I also was relieved to find out that my instructor would be in the car with me and giving me tips along the way. I vividly remember expressing to my instructor my fear of being the slowest on the track. To which my instructor smilingly explained that women sometimes start at slower speeds but because women are generally better listeners we soon catch up and then advance faster. After a quick chuckle, we headed out to the track. We got along nicely as we both shared German heritage and a love for German cars. Despite all my preparations, I was really stressed and anxious. The first drive session was a blur with apprehension soon giving way to exhilaration. The roar of the motor, the seemingly impossible braking, the cat and mouse game of chasing the car in front of you, all of it was heart pumping. I just remember coming back into the paddock with a smile on my face and my hand shaking from the adrenaline. I was hooked. My instructor also took me for a thrilling ride in her GT4 which was very invigorating. To those of you who may be considering a driver’s education course I would highly suggest it. If I can do it, you can do it. The people I met where charming and helpful and everyone shared a passion for cars. There were some cars at the event which you only see at showrooms. It was an enjoyable day and I’m glad I did it. I also think it made me a better driver.